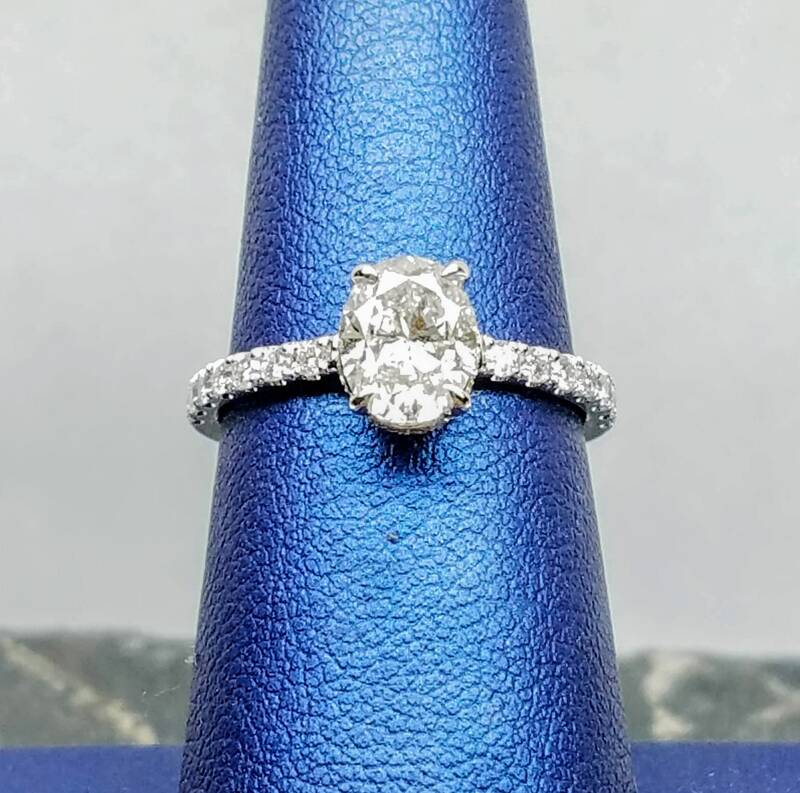 1 carat oval diamond GIA certified engagement ring. 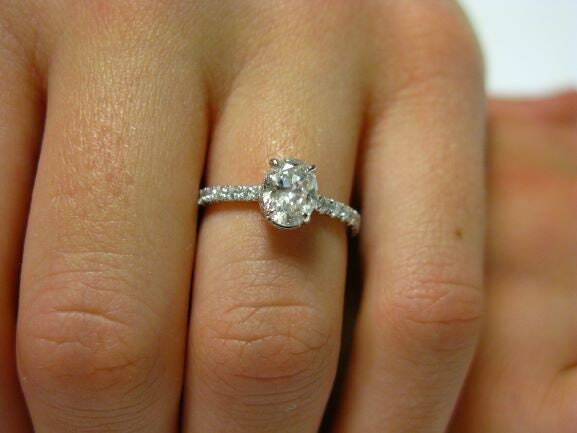 Oval diamond engagement ring. 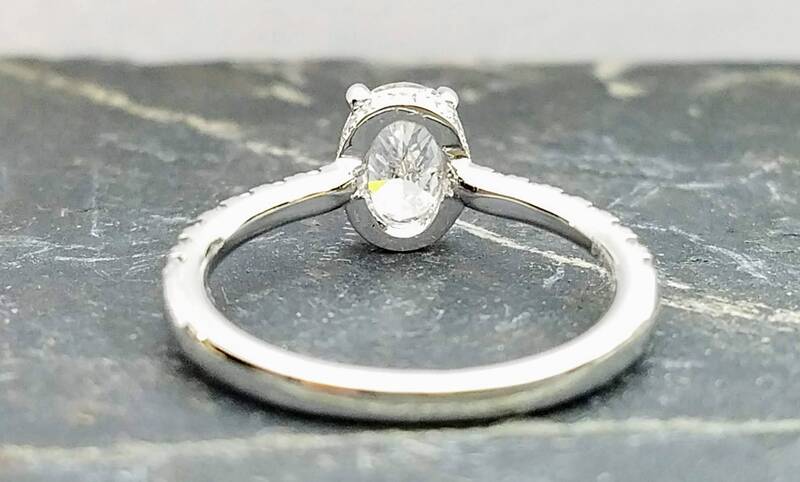 White gold ring. 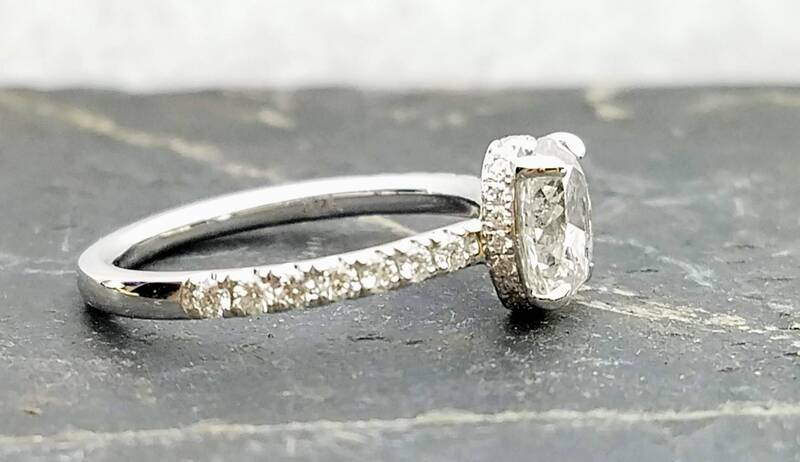 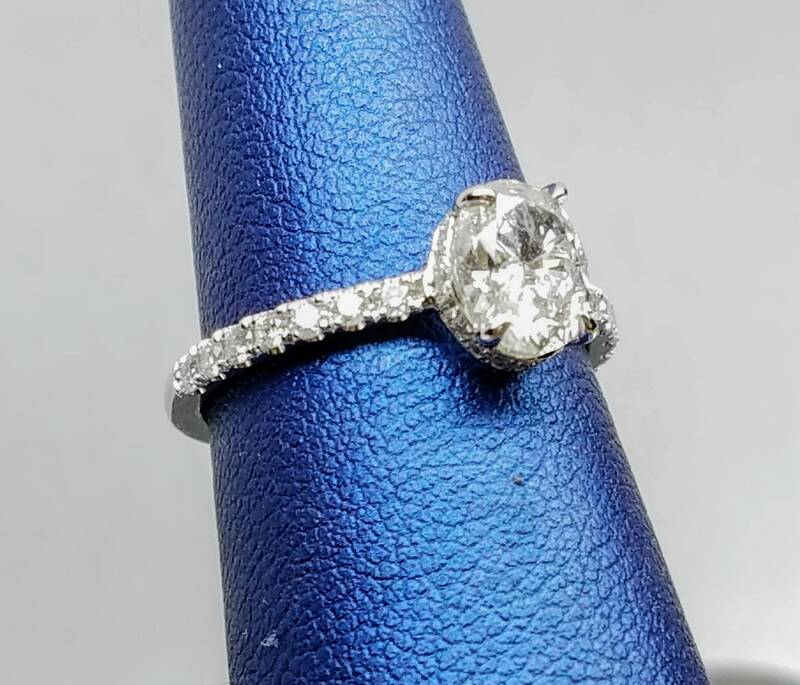 GIA certified, One of a kind 1 Carat oval Diamond Engagement Ring, Oval Cut Engagement Ring, Vintage Engagement Ring, Oval Cut Art Deco Ring. 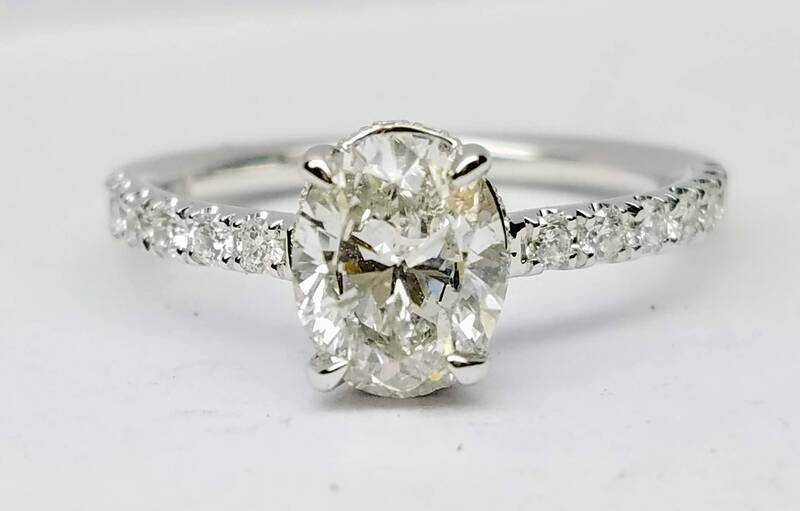 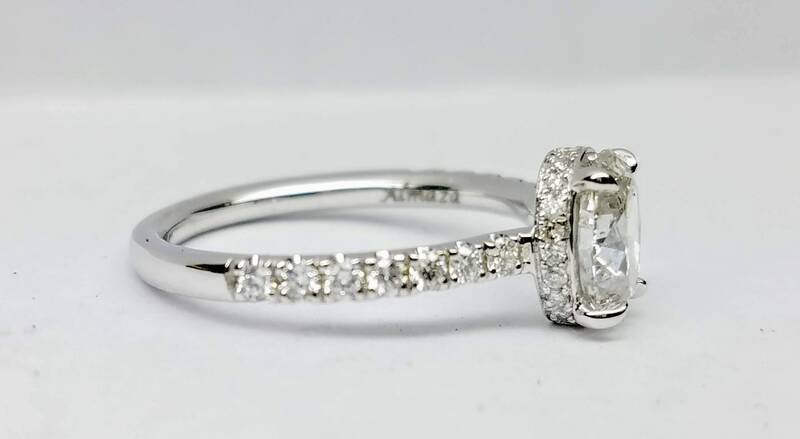 Center diamond is a beautiful GIA (Gemological Institute of America) certified H color, I1 Clarity Oval Cut Natural Certified Diamond surrounded by additional micro pave 0.40 carat crispy white and sparkly diamonds. 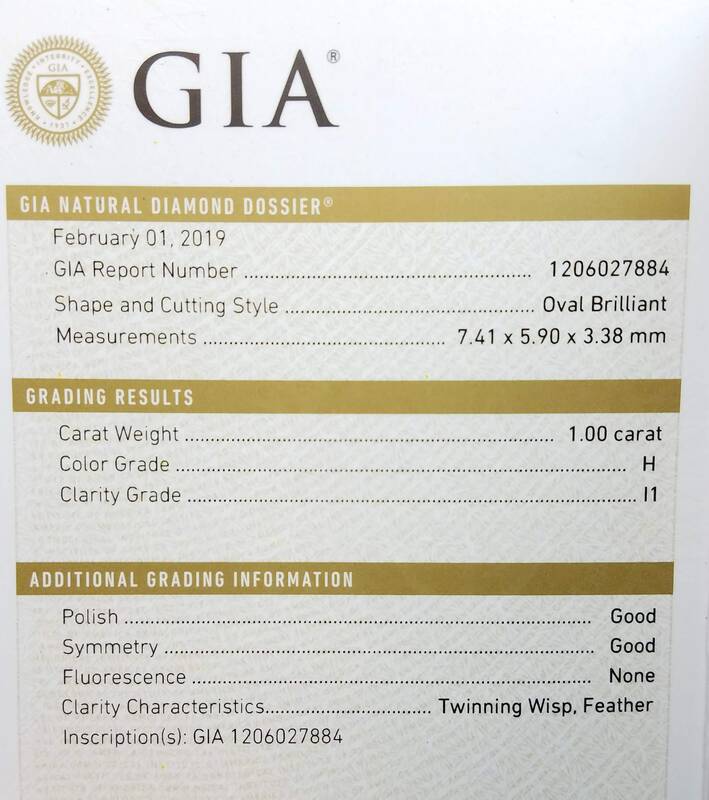 The ring comes with the original G.I.A diamond certification, pictured, the most trusted diamond grading laboratory in the world, showing the matching inscription number on the diamond for authenticity! 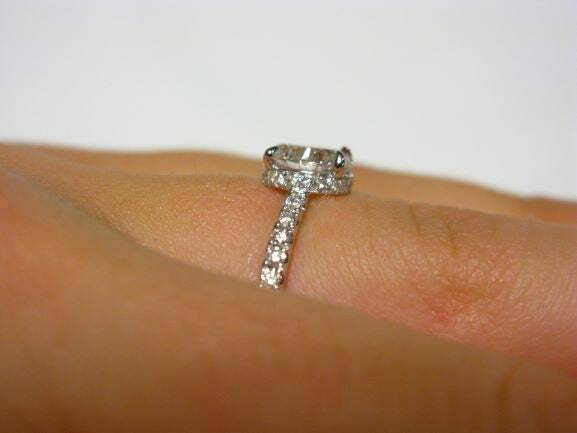 We can make the same ring in Yellow and rose gold, for the same price, using the same center diamond, just ask us.